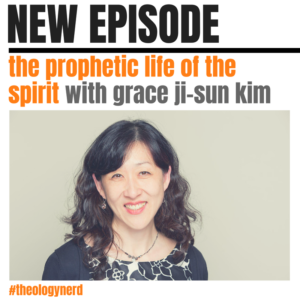 Grace Ji-Sun Kim is on the podcast to talk about her new book, The Homebrewed Christianity Guide to the Holy Spirit: Hand-Raisers, Han, and the Holy Ghost. Grace and Tripp talk about why we need a book about the Holy Spirit, how it is an often neglected aspect of God, her work not just in academia, but as an activist, the need for more professors to get out of the classroom, and the role of the Spirit in activism. Grace explains a little about the foundations of the doctrine of the Holy Spirit, how the early church struggled to understand the Spirit, the presence of the Spirit in the Hebrew Bible and early Judaism, the role of the Spirit in the New Testament, the fear mainline denominations have concerning the Spirit, the experience of the Spirit in our current multicultural context, the limits of language in describing the Spirit, and embodied experiences of the Spirit. Plus, non-eurocentric ways of understanding the Spirit, the Asian concept of qi, and indigenous ways of conceiving of the Spirit.